The CNMI’s number of delegates to the 2014 Micronesian Games could go down as tennis and volleyball decided not to compete, while three other sports federations have yet to secure airline seats. “Some of our teams have confirmed seats to Pohnpei. Others do not. United [Airlines] is telling us that it will not operate any extra sections, and will not have any aircraft available for charter, which means that, at the present time, there are no seats available to Pohnpei after July 14, as flights on the 16th and 18th are fully booked,” Northern Marianas Amateur Sports Association president Michael White said in an email to Saipan Tribune. Only swimming, baseball, weightlifting, and spearfishing have made reservations with United Airlines.While tennis and volleyball are officially out, athletics and basketball are still communicating with the airline company and will make their final decision at the end of this month. 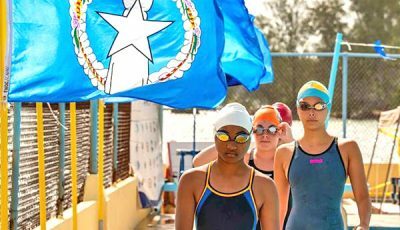 The local canoe federation is also not on the list of associations that made reservations with United Airlines and has yet to respond to Saipan Tribune’s email, asking for the group’s final decision about the Micro Games. The nine federations had earlier confirmed their participation in the quadrennial tournament, bringing the CNMI’s initial number of delegates to 173. “Tennis is not going to Pohnpei. 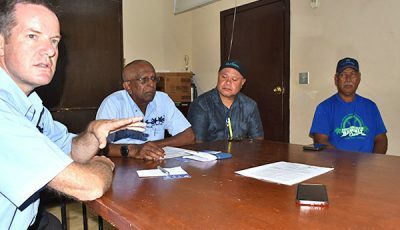 We decided to put our resources to other off-island tournaments this year,” Northern Mariana Islands Football Association official and CNMI coach Jeff Race said in a telephone interview with Saipan Tribune yesterday. Race finished third in the men’s singles event in the 2010 Micronesian Games in Palau, while teammates Todd Montgomery and Peter Loyola took the gold and silver. The Commonwealth also had a women’s team in Palau with singles gold medalist Kana Aikawa leading the squad. 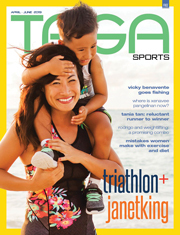 Joining her on the team were Lydia Tan, Mayuko Arriola, and Jodel Fernandez, and together with the men’s squad, the CNMI bets collected four gold medals, four silver, and four bronze medals in Palau. Athletics also gave the CNMI a lot of medals (13 golds, 5 silvers, and 7 bronzes) in 2010, while basketball won a silver (women’s division). 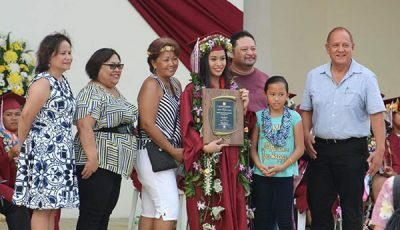 Northern Marianas Athletics and Basketball Association of Northern Mariana Islands official Elias Rangamar said that combining basketball and athletics teams translates to about 60 delegates. “I am in contact with United and waiting for their response before we make the decision, hopefully by this weekend. There are no extra flights opened for the Games, so even if we submitted our entries way back in December, some teams were going to be left out anyways because of lack of seats and flights. But then again, United runs a business and I don’t want to prejudge their decision. I am pretty sure they had put a lot of thought into the matter leading into their decision,” Rangamar said. 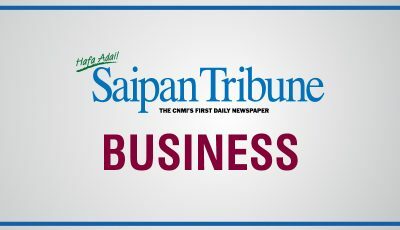 Saipan Tribune learned that United Airlines is charging $678 per person plus taxes ($7.50 and $86.50, which are subject to change) and federations with big delegations are struggling to find funds for the airfare. 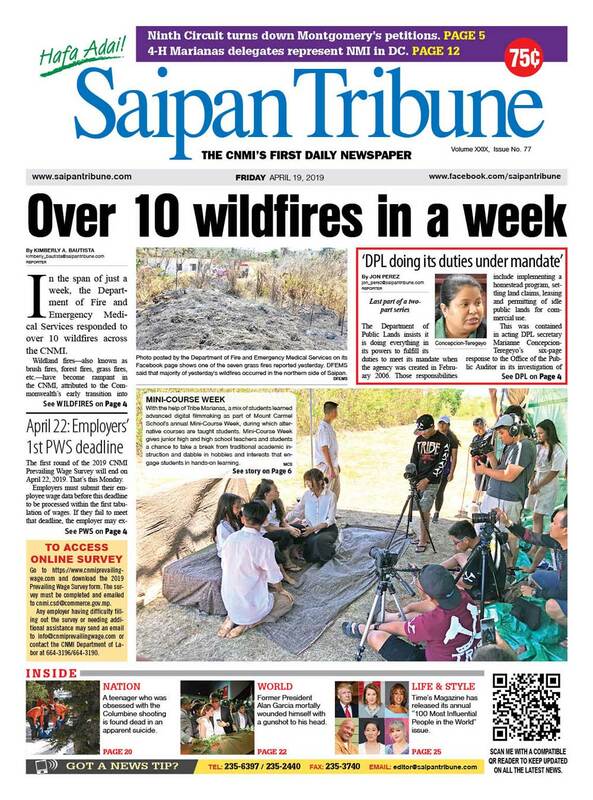 Saipan Tribune also checked online reservations and although seats are still available after July 18, the airfare is between $900 and $1,600. The 2014 Micronesian Games will run from July 20 to 29. Besides the airfare, CNMI delegates also need to pay the $50 per diem to the organizing committee. The per diem charges do not cover the delegates’ meals if they are forced to fly early to Pohnpei and stay there for another week (the longest) once the Games has been completed. “There is a possibility that some seats on the 16th and 18th may become available if those holding those seats do not meet United Airlines’ payment schedule. Our teams which do not now have confirmed seats may choose to fly on the 14th, or they may decide not to go. The Games Organizing Committee is telling us that, because of the situation, they will open the Games Village on the 14th, but for sleeping accommodations only. Teams will be on their own as far as food is concerned until the Games Village Cafeteria opens,” White said. “NMASA is hopeful that all of our remaining teams will be able to participate in the Games,” he added.